The Times real estate section seems to get what the editorial page and some other sections do not. Bike lanes and secure bike storage are an important amenity when people choose where to live. Some New Yorkers prefer to bypass the transit system entirely. George Calderaro, communications director at the Columbia University School of Continuing Education, moved into the Solaire, a building at the northern edge of Battery Park City, in 2004. He chose his apartment because of its proximity to the bicycle path along the Hudson River and its large bike room. He rides his bike along the river to and from work every day except in the winter, when he takes the subway. The developer and manager of the building, the Albanese Organization, included bike rooms in all of its buildings in the area, a draw for many tenants and buyers. According to the city’s Department of Transportation, commuter bicycling doubled between 2006 and 2010. 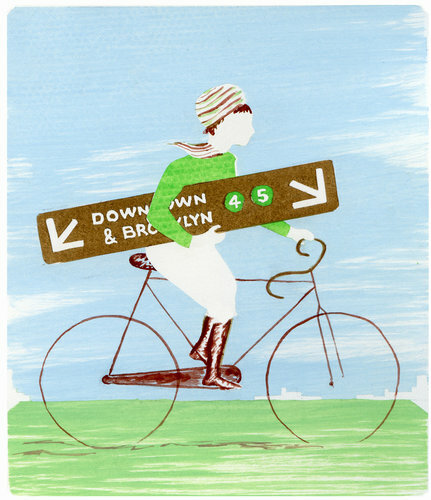 New York City has more than 300 miles of bike lanes — an alternative to the subway for many. The Department of Transportation’s Web site has links to the city’s bike lane map as well as maps of bike racks and shelters. Mr. Calderaro could not be happier with his daily ride along the river. “My commute is the highlight of my day,” he said.